The Grand Sport is the result of meticulous planning to incorporate everything that Bugatti had not in its prior vehicles. 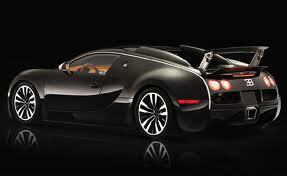 A culmination of state-of-the-art technology and stylistics of a convertible, the Bugatti Grand Sport has it all. The notion of making the automobile stand out is perfectly understood in the kind of materials used in its making. Titanium, magnesium, aluminium and carbon fibre- all are elements which add to its reduced weight, but effect maximum efficiency. The body consists of carbon fibre monocoque, suspended from an aluminium frame in the front and a stainless steel frame in the rear.